And because of advances in technology – 3-D printers, for instance, such as the ones produced by MakerBot – the barriers to starting a basement manufacturing enterprise are being eliminated. The only limit to creativity is the maker’s imagination. Even the way shoes are made is ripe for reinvention. At least according to Sarah Eldershaw. She is a Toronto-based shoe maker who recently completed a degree in industrial design at OCAD University. For her fourth-year thesis, she developed a mail-order kit of parts that will allow DIYers to create their own footwear. Although it started as an academic exercise, she hopes to develop it into a business by the end of summer. Called Shoe String Assemblies, Elershaw’s idea is simple. People will be able to purchase one of her kits online (likely through Etsy, at an estimated price of $80 to $100). 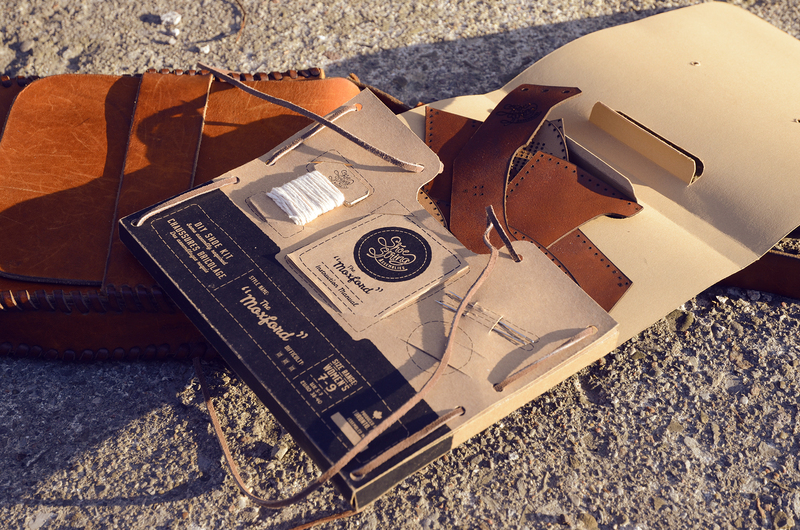 Each pack contains a needle and thread, a rubber sole, a pair of laces, a set of instructions and a handful of leather bits. The hide (all vegetable tanned to avoid toxins) is prepunched to make stitching easier. Unlike most shoemaking, there’s no glue involved (not even in the shipping packs, which are held together with the laces), and the design doesn’t require a last, the form required to mould most footwear. 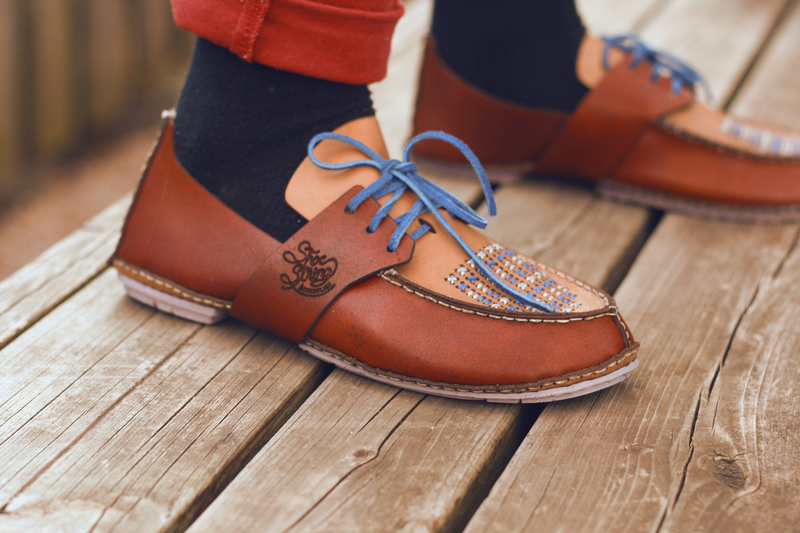 When finished – in a process that could take as many as eight or nine hours (“I hope people relax and enjoy it,” says Eldershaw) – the loafers look like a cross between a moccasin and an Oxford (Eldershaw calls them Moxfords). In the future, she hopes to develop other styles. The look is also somewhat customizable. On her prototypes, Eldershaw has laser cut her own brand logo. But that ankle-side real estate is up for reinterpretation, depending on what buyers want displayed (“it’s easier to change a laser cutting pattern,” explains Eldershaw. “A traditional, die cut mould is much harder to change”). The toe of the shoes can similarly be toyed with. Eldershaw has left a grid of holes for people to embroider whatever patterns they want. “No two shoes will be the same,” she says. Even though they aren’t technically for sale yet, Eldershaw’s design has already been somewhat of a hit. After her graduating show at OCADU, “a number of people e-mailed me asking when they could buy the kits,” she notes. And last weekend, at Rocket, a student competition sponsored by Association of Chartered Industrial Designers of Ontario, she beat out 50-odd other projects to win six prizes. This entry was posted in Design Spy and tagged ACIDO, Design, DIY, DIY Shoes, Globe and Mail, OCAD, Sarah Eldershaw, Toronto by mmhague. Bookmark the permalink.